trendy and stylish spa features an enticing water theme with a water lounge, reflecting pools, and hot and cold plunge pools. If those amenities weren’t enough to put the 28,000-square-foot spa and fitness center at the top of our list, the 300-foot infinity pool on Biscayne Bay, poolside bar and fireplace, and life-size chess set definitely push it over the edge! As the very first in the beloved Canyon Ranch family, the all-suite Canyon Ranch Hotel & Spa in Miami Beach features coral-stone walls, abalone-shell terrazzo floors, a four-story mangrove sculpture, and teakwood ceilings. 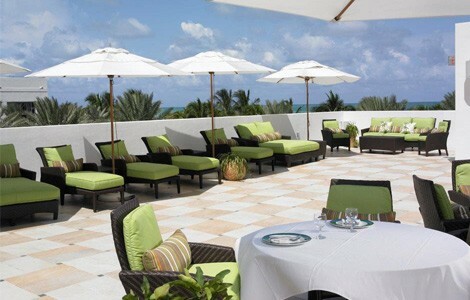 Set in the the former Carillion Hotel, the 150-room Canyon Ranch overlooks 750 feet of beautiful Miami beach. Guests will enjoy award-winning cuisine, fitness and wellness facilities, and a gorgeous spa. Lapis, the Spa at Fontainebleau, has been called “the most beautiful spa in America” by Martha Stewart and it’s no wonder! 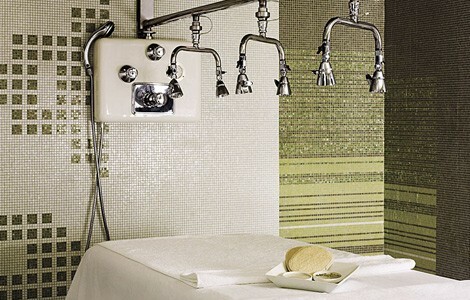 With its two floors and 40,000 square-feet of space, 30 treatment rooms, and exquisite details Lapis is awe-inspiring. Here guests will revel in complementary thermal heat therapies of earth, water and air in order to truly get the ultimate spa experience. 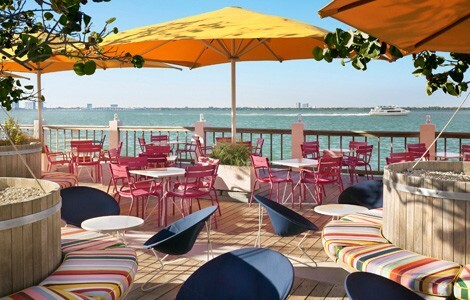 This stylish and intimate hotel and spa is set on Belle Isle in Biscayne Bay, just steps from South Beach’s social scene. The hotel features a beautiful one-acre garden with DIY scrubs, plunges, and open-air mud baths. There’s also a Roman Waterfall Hot Tub, an Arctic Plunge, and a 12-foot Falling Water Column. The 12,500-square-foot spa is home to one of the largest hammams in the United States and guests will enjoy any and all treatments off of the spa’s extensive menu. The 51-story Mediterranean-style tower is a nod to the city’s classic 1950s-era hotels and at its heart is the two-story, 20,000-square-foot Acqualina Spa By ESPA, the brand’s U.S. flagship. Guests to the two-level ESPA at Acqualina are greeted with a cool, scented towel, and a mini smoothie, and are led to the hydrotherapy facilities to jump-start their spa experience. 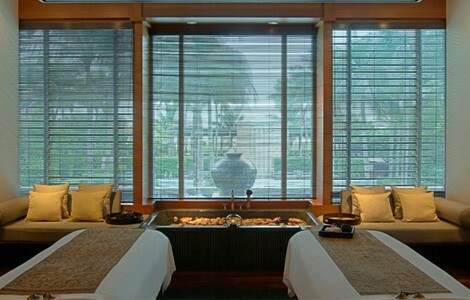 The Spa at The Setai focuses on a personalized and private experience for its guests. Each spa suite features ocean and pool views. And speaking of a personalized, the hotels three pools are kept at different temperatures so you can choose which is most comfortable for you! Inspired by the Pacific Rim, The Spa, and it’s treatment menu, is dedicated to restoration and realignment of the body and the spirit. 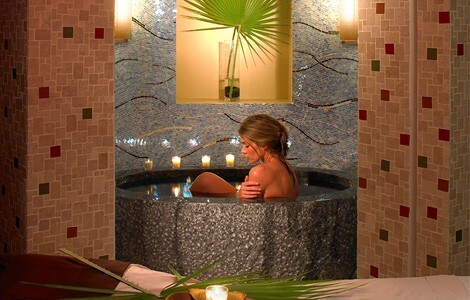 Pritikin Longevity Center & Spa has been a top choice for health, weight loss, and relaxation for years. Surrounded by gardens, waterfalls, meditative labyrinths, golf courses, tennis courts, and swimming pools over 650 acres, Pritikin is way more than just a place people go to lose weight and get healthy – its a place people go to find their own slice of Miami paradise. 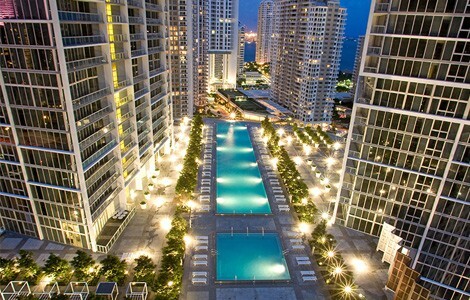 Just minutes from South Beach’s nightlife, The Mondrian South Beach offers Miami visitors a stylish, peaceful escape in a design that mimics Sleeping Beauty’s castle and is the only hotel in South Beach to have its own marina. The Miami magic doesn’t end there, Agua Spa offers guests 4,000 square-feet of Marcel Wanders-designed interiors and 6 gorgeous treatment. We love Loews Miami Beach's London-based 18,000 square-foot Elemis Spa, which has 16 treatment rooms, a 5,00 square-foot fitness center, classes, and personal training training, and a private spa terrace that overlooks the Atlantic Ocean. Additional amenities include the Elemis fitness center which features LifeFitness equipment and stellar views. The three-level Five-Star Spa at the Mandarin Oriental features a gorgeous water setting and provides a true oasis with its 18 treatment rooms, including six beautiful suites. Treatments are inspired by the elements of life and the ancient traditions of Ayurvedic, Balinese, Chinese, European, and Thai cultures.